As the population of British Columbia continues to grow, and grow older, we need to support seniors to be as healthy and as independent as possible. We know that older adults prefer to age in their own homes and communities and may need access to appropriate services and supports in order to do so. Alors que la population de la Colombie-Britannique continue de s’accroître, et de vieillir, nous devons aider les aînés à rester en bonne santé et autonomesle plus longtemps possible. Nous savons que les aînés préfèrent vieillir en restant chez eux et au sein de leur communauté et qu’ils ont besoin d’accéder aux services appropriés pour ce faire. At Richmond Kinsmen Adult Day Centre we understand the importance of Caregiver support! 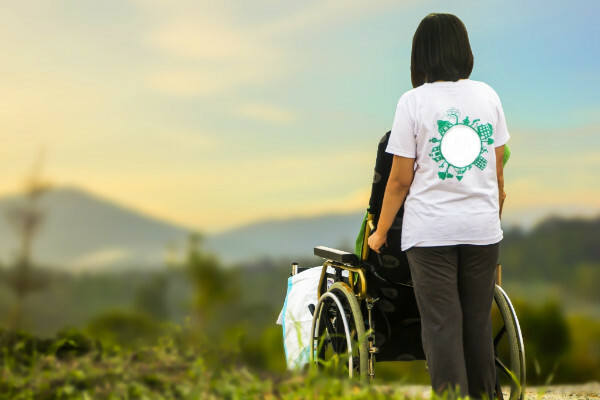 Caregiver support is provided to those people who are taking care of a family member or friend to allow them to live independantly as possible within their own home. We understand that caregiving can be stressful and time consuming, even though you love the person this is inevitable,. You need to take care of yourself before you can take care of others. It is very important that you tap into community and government resources so that you are not doing this alone! We at Richmond Kinsmen Adult Day Centre are here to work with you and your family member or friend to ensure you both have access to information and support. We will continue to update this page as we find helpful and useful information regarding services, e-bulletains and other information that can be used by our care providers and clients. Awareness service for health care practitioners e-newsletter, research and reports on current practices. The Office of the Seniors Advocate monitors and analyzes seniors’ services and issues in B.C., and makes recommendations to government and service providers to address systemic issues. The Office of the Seniors Advocate also conducts advocacy for seniors who require assistance. WDC’s five global teams are meeting the dementia challenge in the areas of Finance; Integrated Drug Development; Research, Open Science and Big Data; Care; and Risk Reduction. The Office of the Ombudsperson addresses complaints from seniors dealing with a variety of provincial public authorities. Accredited training, consultancy, research and resources for the social care and health sectors from independent charity and improvement agency, the Social Care Institute for Excellence. Vancouver Coastal Health provides health care services through a network of hospitals, primary care clinics, community health centers and residential care homes. Their site provides information on personal health care and other community resources. HealthLink BC can connect you to navigators, nurses, dieticians, exercise professionals and pharmacists. Their site provides information on healthy eating, physical activity, mental health, medical tests and medication information.